On January 15, 2019, about 1050 mountain standard time, a Piper PA28-140 airplane, N1697J, collided on a city street following a partial loss of engine power during a go-around from South Valley Regional Airport (U42), Salt Lake City, Utah. The commercial pilot was not injured. The airplane sustained substantial damage to the right wing. The airplane was registered to a private individual and operated by Cavorite Aviation under the provision of Title 14 Code of Federal Regulations Part 91 as a personal flight. Visual meteorological conditions prevailed at the time and no flight plan was filed for the local flight. The pilot reported that he was practicing touch-and-go landings on runway 16. During the final approach, the airplane was high so he initiated a forward slip to decrease altitude. He reduced the throttle control to decrease engine rpm, however, instead of decreasing, the rpm increased. The pilot opted to initiate a go-around to try and figure out the problem and retracted the flaps and increased full throttle control. The engine would only develop about 1,500 rpm which was not sufficient to maintain altitude. The airplane continued beyond the runway and subsequently landed hard on a road. The landing gear was sheared off and the airplane slid to a stop. 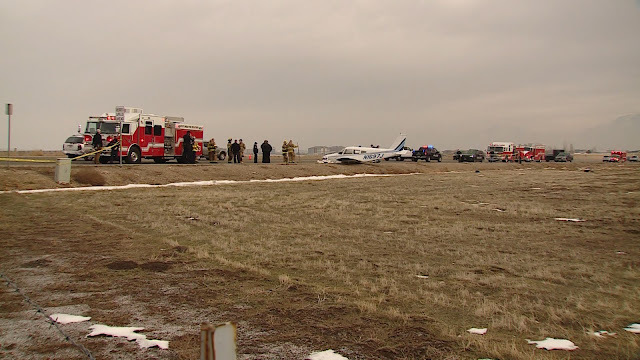 WEST JORDAN — A 42-year-old pilot avoided injuries after his plane went down near the West Jordan Soccer Complex on Tuesday morning. 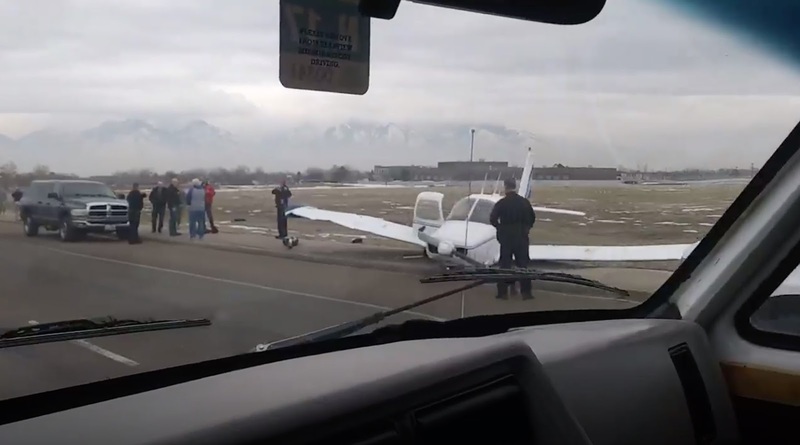 The man, who is from Lehi, was doing touch-and-go maneuvers in a Piper PA-28-140 at South Valley Regional Airport, according to West Jordan police officer Scott List. The pilot came in high on one of the landings and decided to abort the landing, according to List. 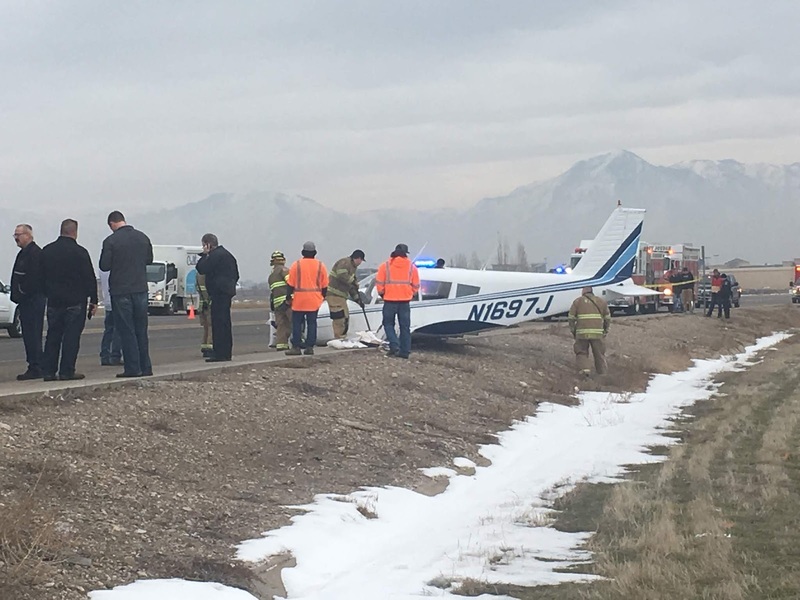 As he pulled up, the plane’s engine died and he fell about 100 feet, landing on the north side of New Bingham Highway near 4000 West, according to List. 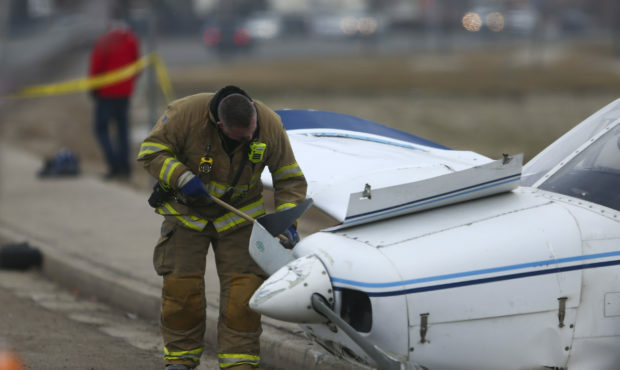 The plane spun around and ended up on the south side of the highway, List said. The pilot walked away with no injuries, List said. He was not the owner of the plane, but the plane’s owner was on the scene as of 11:20 a.m., List added. There were no road closures in the area as of 11:45 a.m., according to West Jordan police dispatchers. 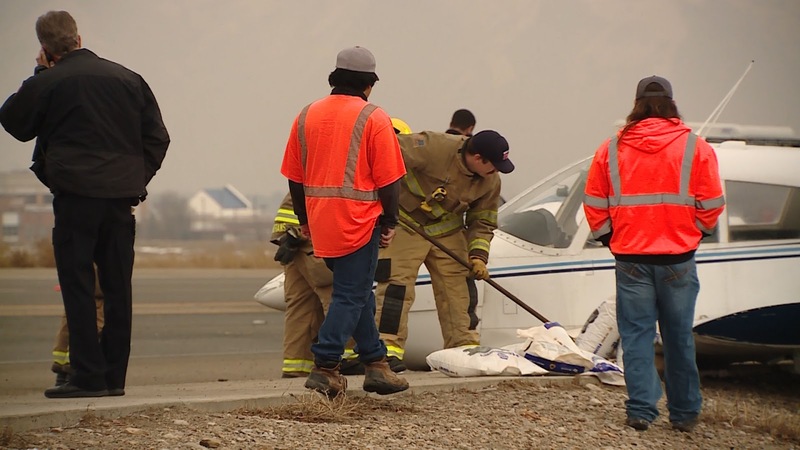 WEST JORDAN, Utah — A pilot was able to walk away uninjured after his plane went down near the South Valley Regional Airport, also sometimes known as Airport #2, in West Jordan. 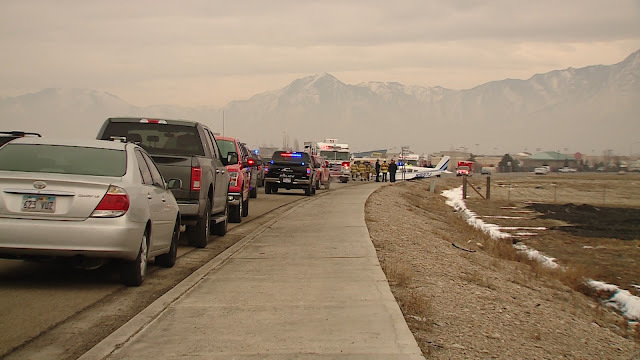 Photos and video, taken by Steven Tomer and shared with KSL, showed the plane, banged up but mostly intact, on the edge of a soccer field near 8000 S. and 4000 W.
West Jordan Police Officer Scott List says the pilot was identified as a 42-year-old man from Lehi. He told police he had been practicing “touch and go” landings at the airstrip when he got into trouble, his approach was too high on one of his landings. “It dropped down and hit the north side of New Bingham [Highway] and spun around and ended up on the south side,” List says. 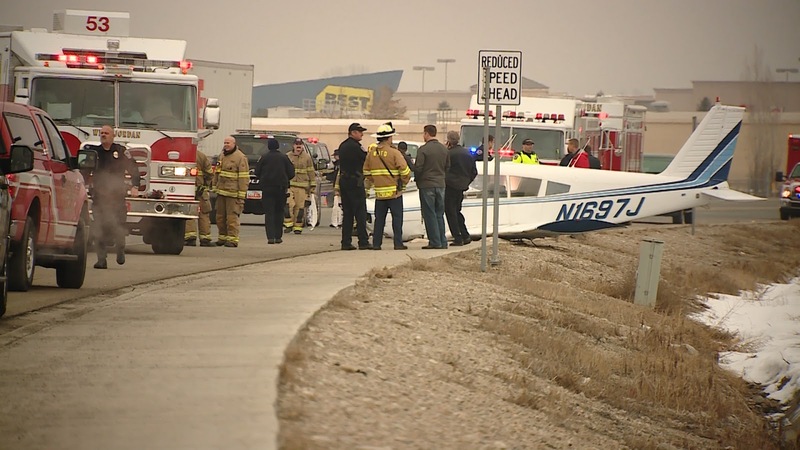 List says the pilot was not the owner of the plane, but said the plane’s owner was on scene shortly after the accident. Upon running the "N" number, the plane is a 1976 PA 28R-200 which is a Piper Arrow and not a 140. The way the pilot described the accident sounds like the throttle cable either came disconnected or broke causing the loss of engine rpm control. Glad everyone is OK.
My bad, I got the N number wrong. It is a 1968 PA 28-140 after all.